Multi could be the right template for you. It is a creative multipurpose HTML theme used for various type of sites, like portfolio, corporate, agency, and all sorts of business sites. 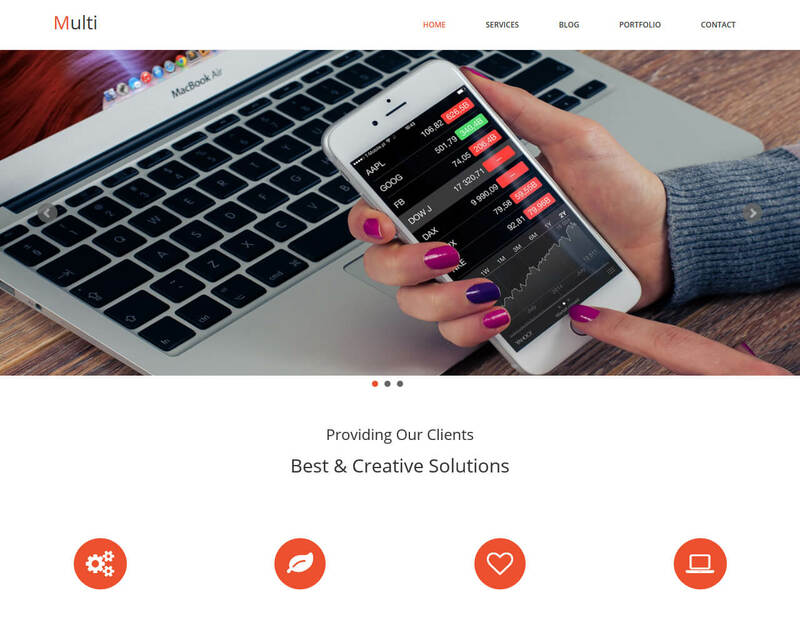 Multi is powered with responsive Bootstrap 3.3 and HTML5 theme recommended for business, education, agency, magazine, attorney, portfolio, architect, fashion, band, studio and other professional purpose websites. You can view the website on any screen size, phone, laptop or tablet. Simply add your details and information and Multi will complete the process of building your website. The main objective of Multi is to help professionals to develop a unique and modern website fast. It has clean and fully responsive design tested on all primary handheld devices. The possibilities are unlimited and flexible that can support any type of website you develop. Other features include CSS3 animation effects, filterable portfolio, fixed navigation menu bar, one page layout, and a lot more.